Suze Orman is considered a force in the personal finance world. She is probably the most recognized personality in the world when it comes to personal finance and for a good reason as she has sold millions of books and has a long running & award-winning T.V. show. There is one more thing you should now about Suze Orman – she loves the Filipinos. 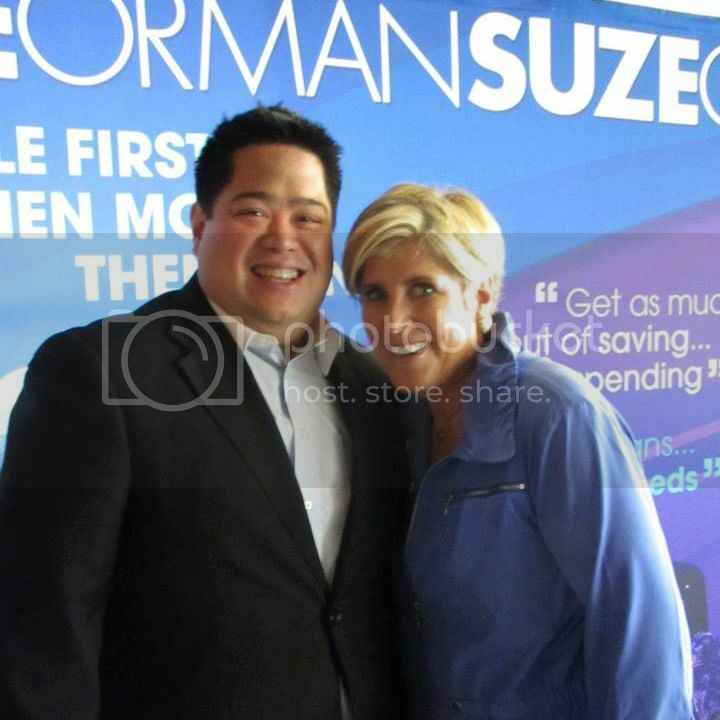 In 2012, Suze Orman visited the Philippines as part of BPI’s personal finance advocacy campaign and I was given an opportunity to meet her up close and personal. A few days ago, this force in personal finance was back in the country again with even more events lined up by BPI. What was the message of Suze Orman this time around? Well, it’s virtually the same message she gave last year; a message that Pinoys need to hear again. Having employed many Filipinos for years, Suze Orman is well aware of our culture of providing for family members. She has coached many Pinoys working for her and this is what she always says “it’s ok to take care of others but you also have to take care of yourself too.” She believes that there must be a limit to how we help our kin and that the nation should not be too dependent on the 11 million OFWs abroad. She also encourages us to “do the right things, not what the culture say” – referring to the social pressure of financial dependence. “The greatest thing you can do for yourself is to pay your debts.” Suze Orman reiterates her concern about how much people are now in debt and she is aware that Pinoys are becoming more attracted to borrowing than before. She advices on paying debts first as against buying stuff and she cautions us to be prudent with how we manage money especially now that our economy is growing – “If you don’t have money saved, spend your money just on needs. All the things you buy are really worthless.” She notes that Asians in general have very good work ethics and her exposure to many Filipinos reinforces that observation. They are always working hard and they are willing to work longer than everybody else but they must also learn how to save and invest more. On a personal note, Suze Orman encouraged me to push more and more financial education for Filipinos and to help as many as I can to be empowered because they are financially secured. Suze Orman’s message is not only timely; it’s something we should hear over and over again. We missed this event. When we saw Suze Orman in ANC, we immediately called BPI and told us that there were no available tickets left. Too bad. Oh, well. So glad to have found your blog site. Truly a learning experience. Thanks Sir Randell. I’ve been reading your site for a while now and I’m glad to read that you’re inspired to teach Filipinos financial education. That’s what we really need nowadays!